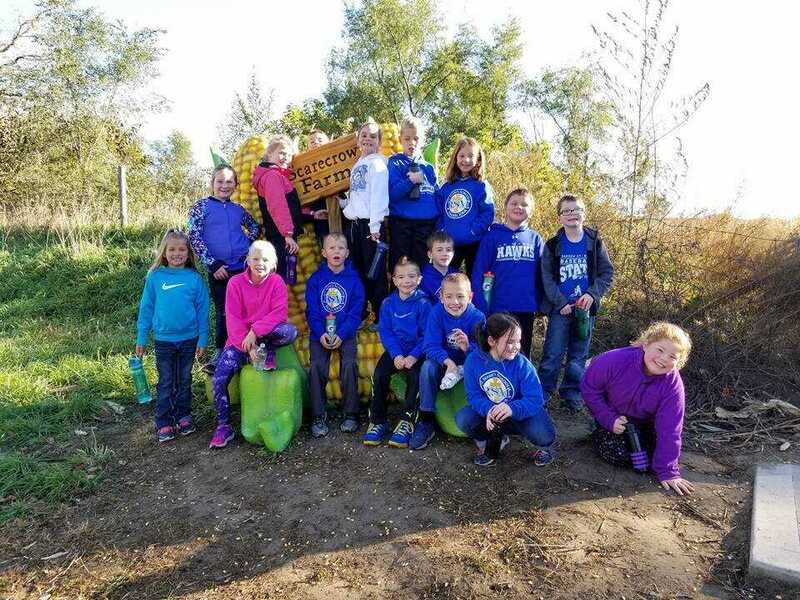 On Tuesday, October 17, the second graders and the preschoolers at RSM went to Scarecrow Farm’s Pumpkin Patch in Lawton, Iowa. They started the morning by going on a hay-rack ride. On this ride the students learned more about how pumpkins are grown and discovered that they have apple trees at Scarecrow Farms too! 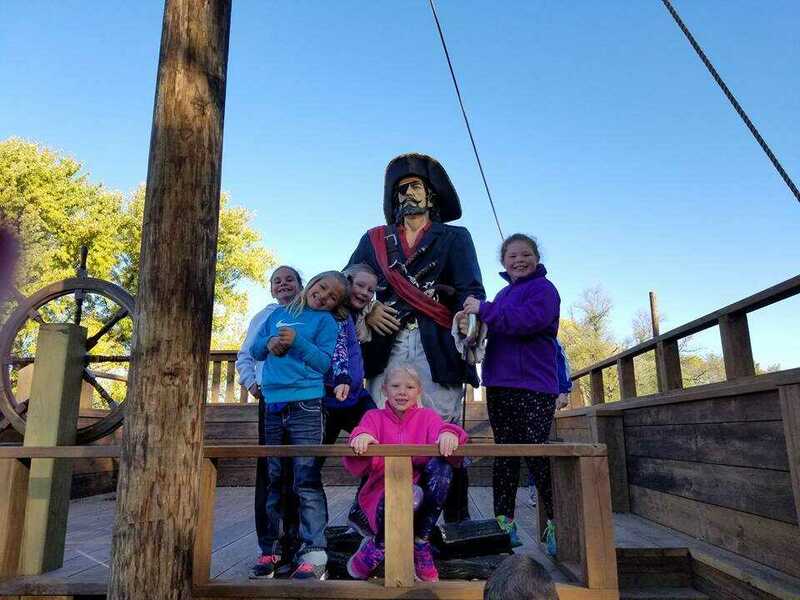 After the hay-rack ride, the second graders and preschoolers got to go on the pirate ship. This is a new addition to the pumpkin patch that includes climbing ropes, slides, a pirate, and different things that add to the “pirate ship experience”. 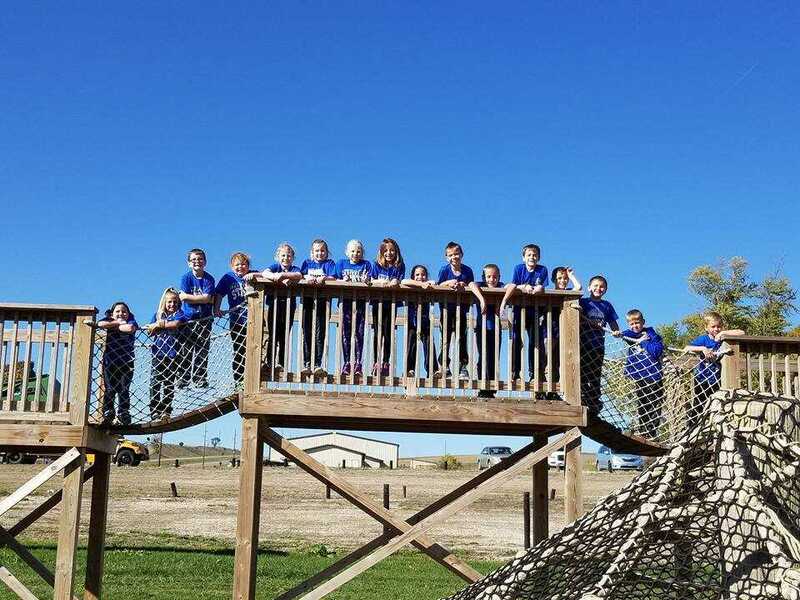 Next, the students were able to play on the horse swings and jungle gym, feed and pet the goats, and race cars on a race track. They had so much fun with these different activities. 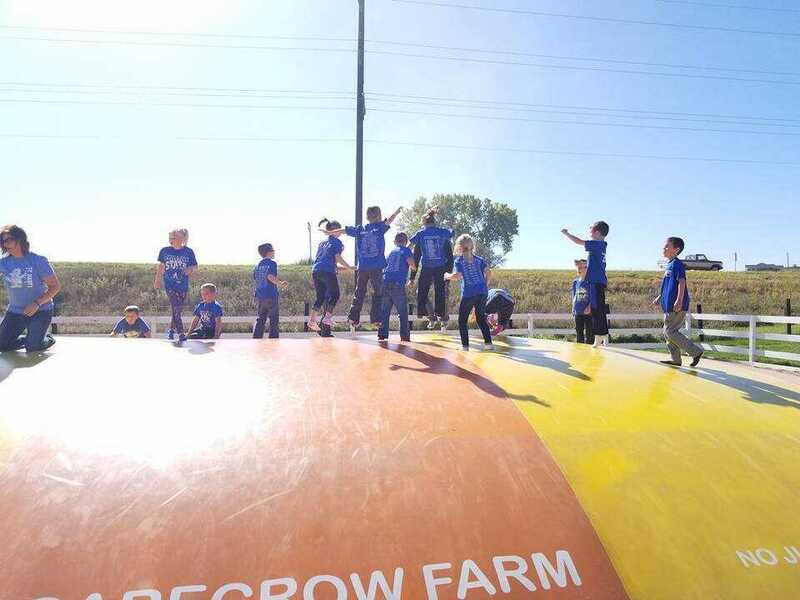 After eating a sack lunch in their picnic area, the second graders and preschoolers were able to play in the corn bins, go on a tractor ride around the pumpkin patch, and jump on the “BIG” candy corn pillow. This was definitely their favorite thing and the teachers enjoyed it too. Lastly, before going home the students got to pick out their very own small pumpkin to take home with them. Every year this is ALWAYS such a fun day with the second graders and the preschoolers, and this school year was no exception! The BIG candy corn pillow was the best part of the Pumpkin Patch. These students hang out on the wooden bridge. 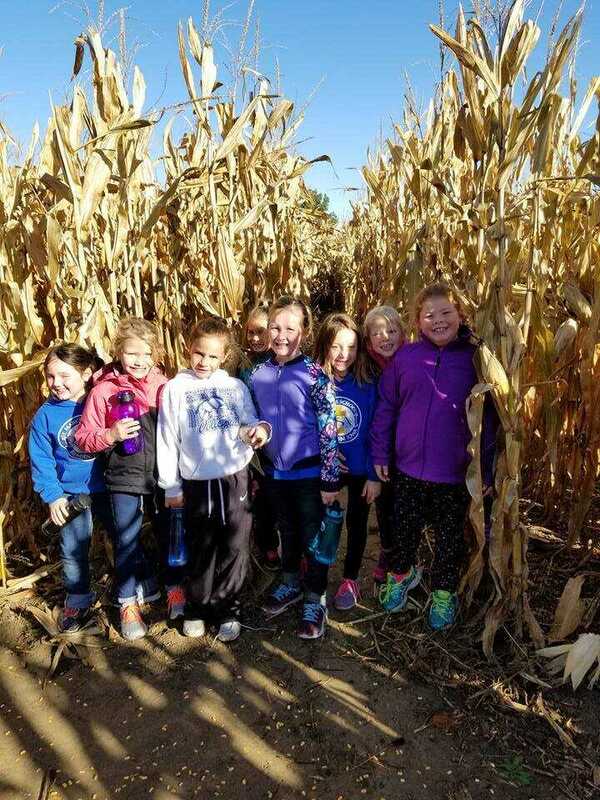 The corn maze was a fun part of the trip. The children are all smiles with the Scarecrow Farms sign. 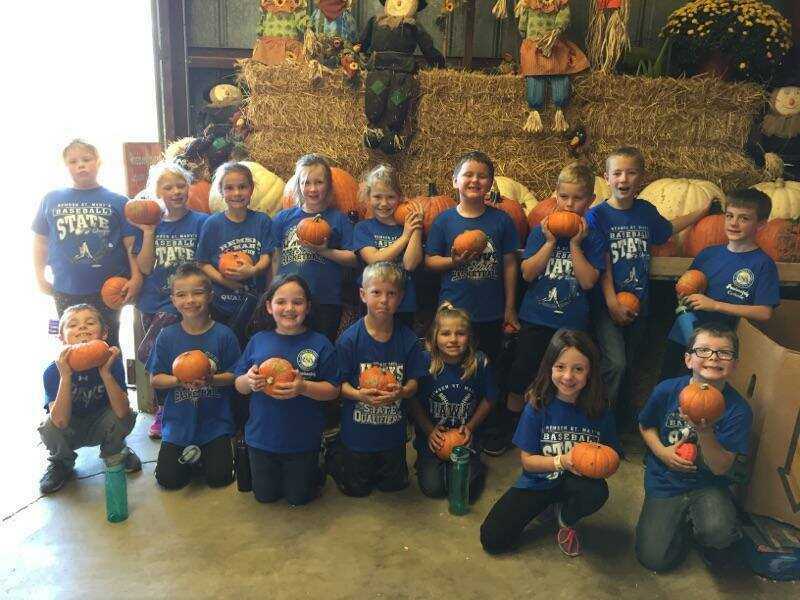 Mrs. Wimmer's second grade class at RSM take a group picture with their pumpkins that they received at the end of the trip.